The present buildings date from the late 15th century.They are unique in design originally being two separate buildings. The Booth Hall was a mediaeval open hall used a court of justice and the assembly room under the upper floor at the front of the building was a solar. 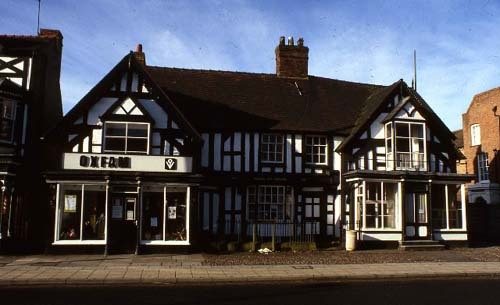 The buildings are leased to the town by the Boughey Trust at a peppercorn rent and were refurbished by the Town Council and English Heritage, to provide a Council Chamber and offices. These are now licensed for Civil Weddings.